It's been so much fun just to see my mom happy. My mom has had such a hard year and I think it's been refreshing to see her have a good time. She raises a great point! After such a rocky year, it's nice that Kris Jenner finally found some stability and is enjoying herself — she deserves happiness just as much as anyone else. Gushing about how great her mom's boyfriend really is, Kim Kardashian continued, "He's such a nice person. She can connect with him and go to the movies with him, work out with him. It's the little things." That's awesome to hear. Since KJ is constantly on the go, she needs someone to keep her grounded and relax with — whether working out or watching movies. Kris Jenner turned 60 this month, but if her epic Great Gatsby themed bash is any indication, age truly is just a number. She's as vibrant as ever! Still, Kim Kardashian acknowledged the 25-year age difference between Kris Jenner and Corey Gamble (who recently turned 35), but in a positive, joking way. She shared a story about how sister Kourtney posted an Instagram calling him a grandpa, saying, "She was like, 'Is this rude?' And I'm like, no it's funny! He's young and he's a Grandpa!" Here's the precious birthday wish that Kourtney Kardashian posted for Gamble. Although Penelope looks a bit frightened, Mason's got the biggest grin. 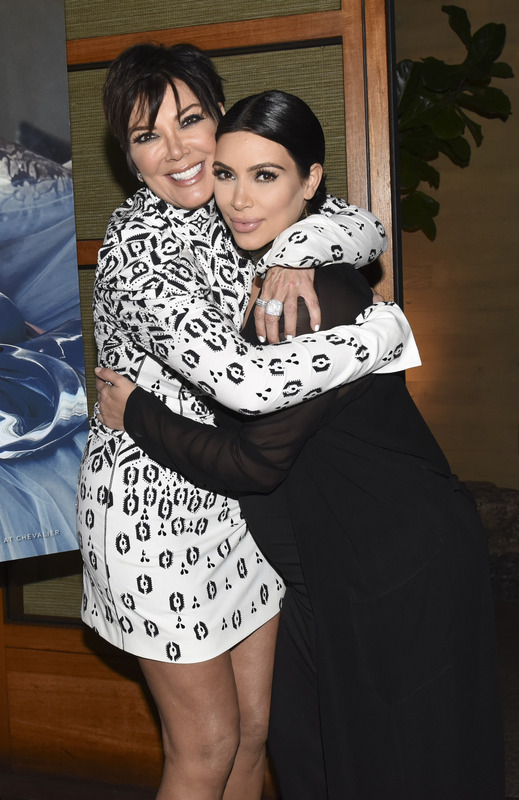 Clearly Gamble fits right into the famous fam and it's nice to hear that Kris Jenner is happy — and that her kids are happy for her too.